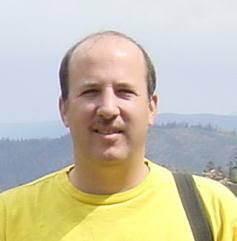 Dr. Kantor studied medicine at the Sackler Medical School, Tel-Aviv University, Tel-Aviv, Israel. His internal medicine residency was completed at the Sheba Medical Center, Tel-Aviv, Israel. He completed a post-doctoral fellowship at the Division of Infectious Diseases and Center for AIDS Research at Stanford University, Stanford, California and is currently an Assistant Professor (Research) at the Division of Infectious Diseases and Center for AIDS Research at Brown University, Providence, Rhode-Island. Dr. Kantor’s main research interest is on HIV drug resistance in non-B HIV-1 subtypes, which predominate worldwide, and its similarities and differences from subtype B. This involves genomics, bioinformatics, evolutionary biology, data mining, statistics, international collaborations and laboratory work.